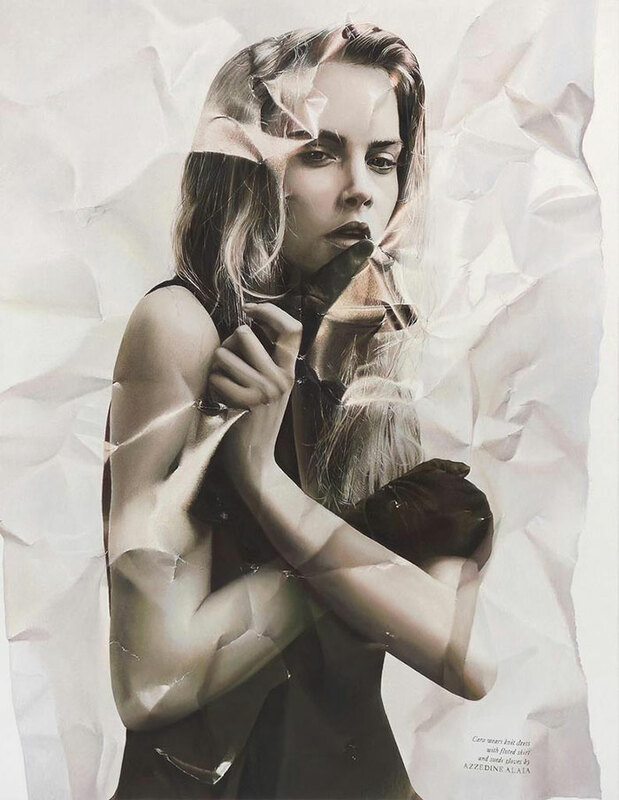 Photorealistic paintings of crumpled pages by Italian artist Stefania Fersini. 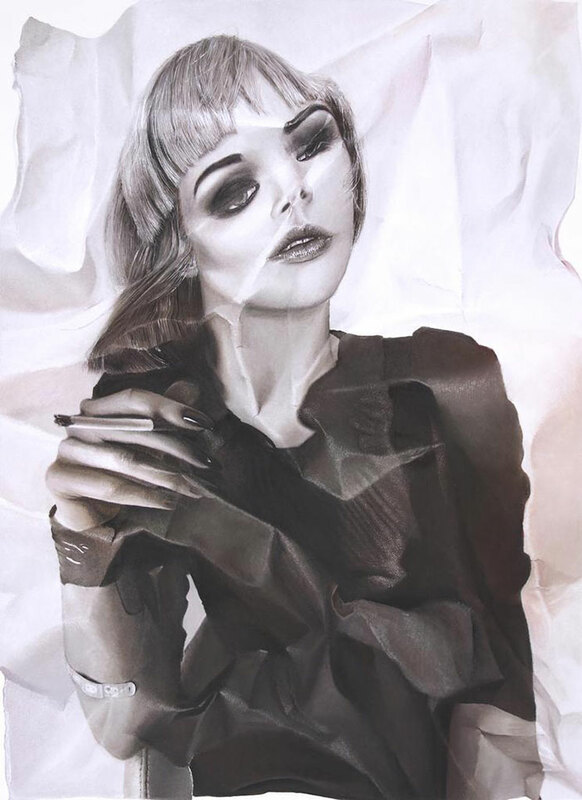 Based on actual pages from fashion magazines, she represents the glossy pages seemingly pulled from the trash with crinkles, creases, and streaks of glare. 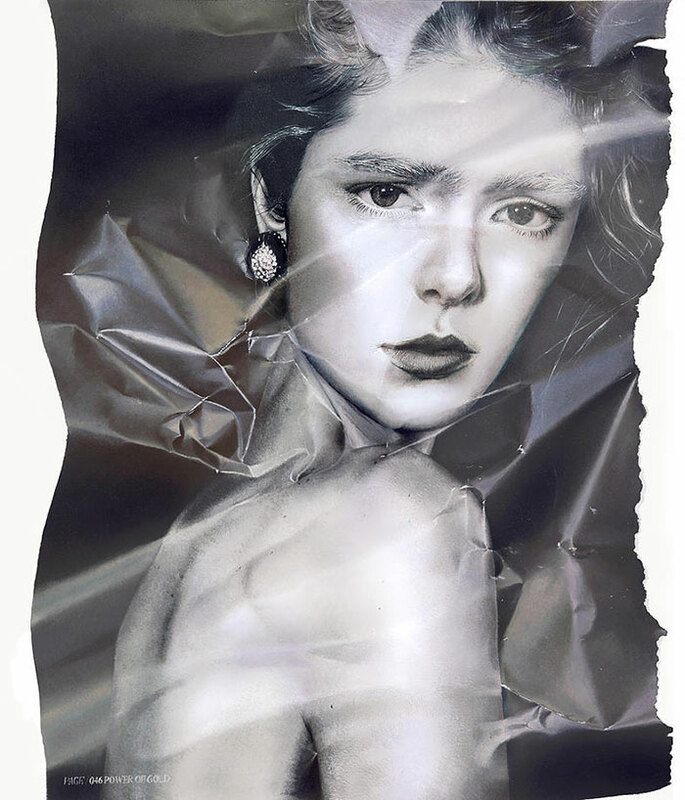 The paintings suggest a layer of anger and the kind of obsessive desire and envy these types of images generate and also points to the superficiality of idealized images of beauty aimed at consumers. 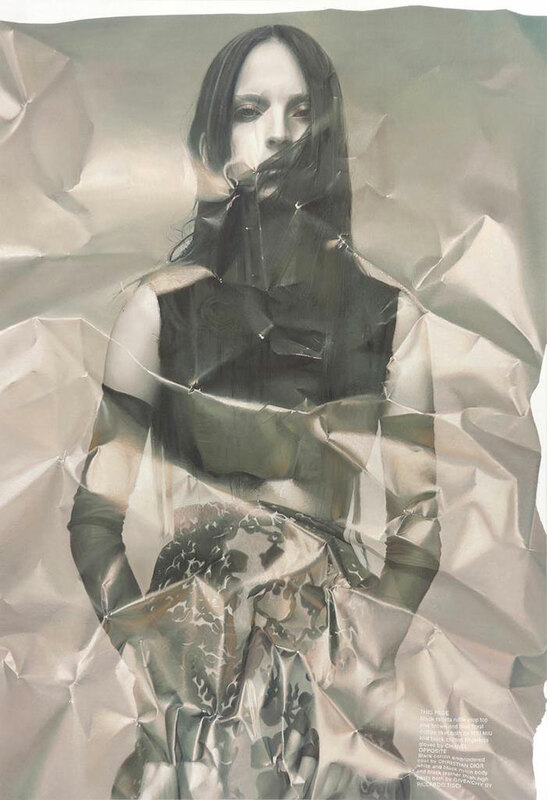 On view at 101/EXHIBIT Sept 12–Oct 17. 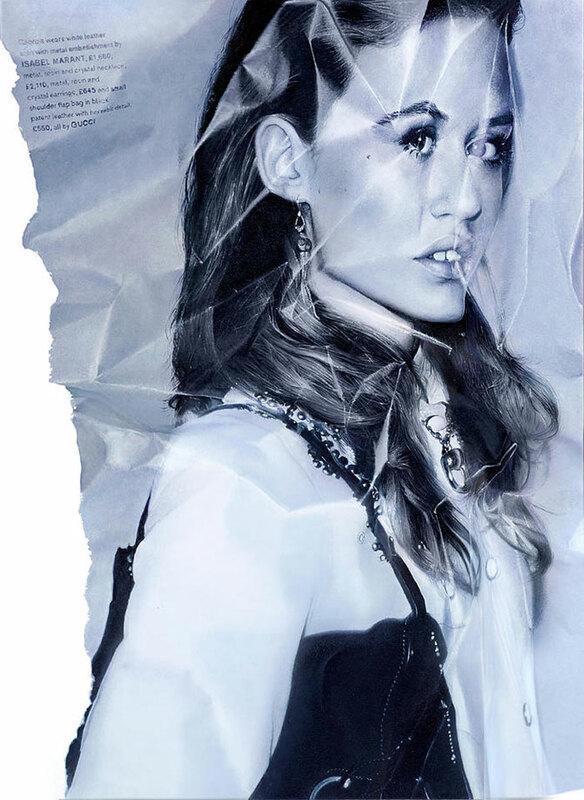 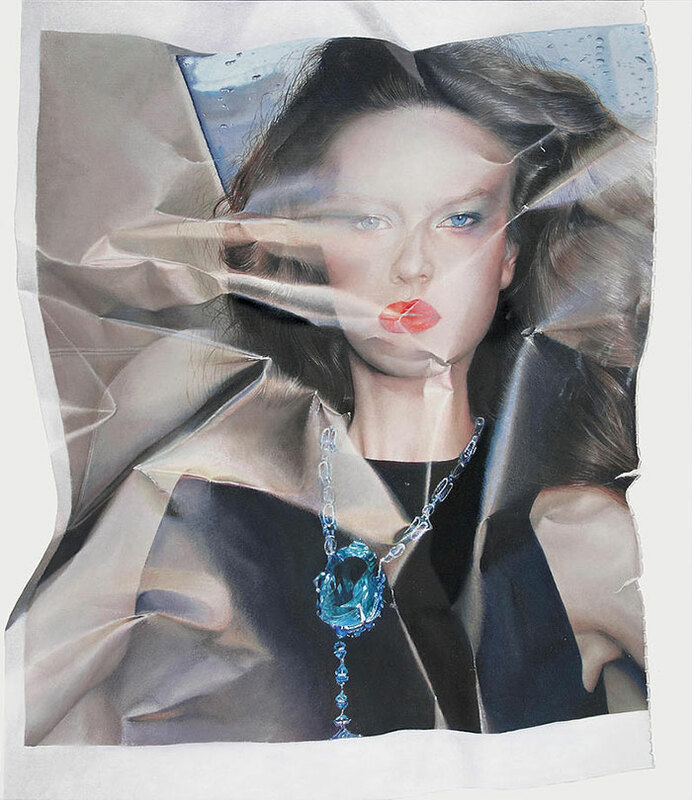 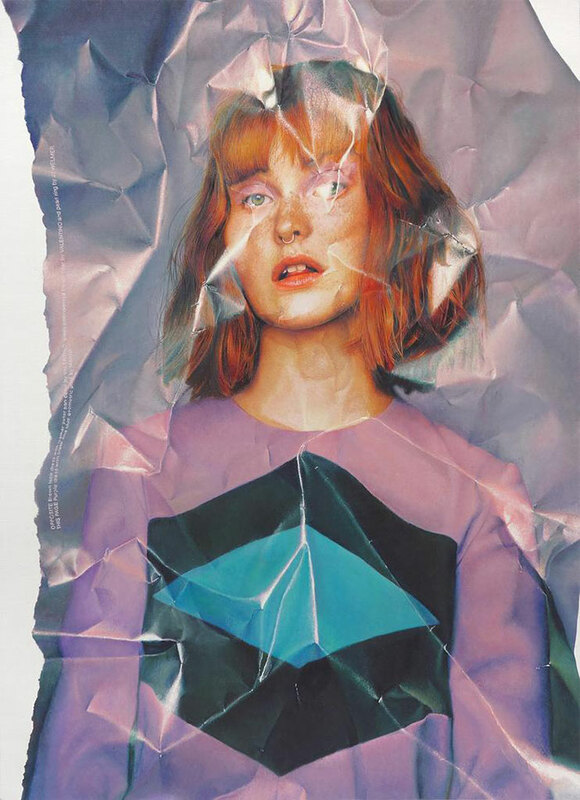 Photorealistic paintings of crumpled fashion magazine pages.